Celebrating communion for the first time. 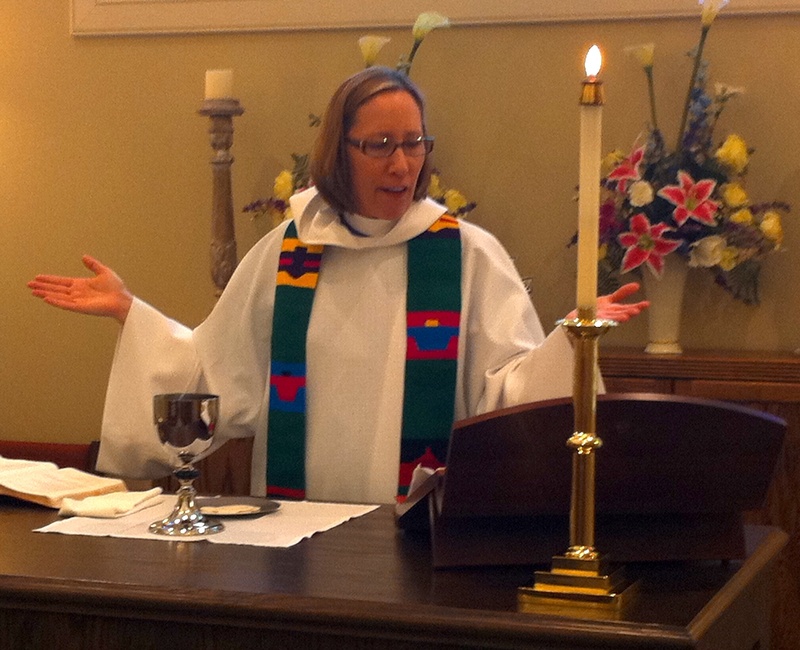 July marks the second month of my first assignment as a new priest in the Episcopal Church. In partnership with the rector of the church where I serve as assistant (St. Francis In the Field), I am charged with “planting” a new church in the Episcopal Diocese of Florida. The purpose of this blog is to offer reflections along the way and to invite your prayers, support and comments. In May I attended Church Planters Boot Camp, a weeklong seminar of the Assemblies of God, a denomination that has very intentionally focused on creating new churches and ministries by equipping clergy and lay people to spread the Gospel and grow the church. I was humbled and blessed by the hospitality of my Assemblies of God friends, who graciously welcomed me and two other Episcopalians (two rising seniors from my alma mater Yale Divinity School and Berkeley at Yale). Thanks to generous mentorship, I am learning the fundamentals of being a parish priest and beginning the exciting work of starting a new ministry to reach those who do not have a church family or spiritual home. In early July, our bishop approved the working name for this ministry — St. Clare of Assisi. Stay tuned!